The personal injury lawyers at the Law Offices of Sousa and Sousa have specialized in Construction Accidents for over 28 years. The construction field is one of the most dangerous in the United States, and one in which many citizens work in. A claim can be made when injuries occur to construction workers, bystanders and even pedestrians or motorists. The Construction work site is a place where serious accidents can occur, sometimes causing blindness, permanent disability, head injuries, broken bones, loss of limbs, amputation, pain and suffering, and more. 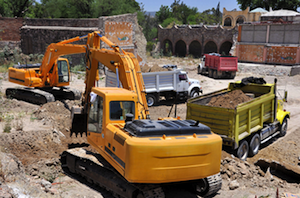 Sousa and Sousa are experts when it comes to Massachusetts construction accidents. Our lawyers have the experience needed to combat the high paid attorneys that large construction corporations employ. Often the medical bills are very high and you will not be physically able to work resulting in lost wages. Your employer's worker's compensation insurance may provide some relief by paying your medical bills and a portion of your lost wages. However, worker's compensation does not compensate you for pain and suffering. Sousa and Sousa can bring a third-party claim against the negligent party to get you compensation for your pain and suffering. You need an attorney to advise you on how you can be fairly compensated. Our staff will work diligently to investigate your case and find all possibilities where you can recover monetary compensation. We will call upon the best construction accident experts to see if there are any other parties besides your employer that are responsible for your accident who we can bring a third-party claim against. Our law firm has plenty of experience regarding the safety regulations mandated by Massachusetts and OSHA (Occupational Safety and Health Administration). We will find out if any of these regulations were violated at the time of your accident and by whom. All states have different statute of limitations rules that determines when a lawsuit must be filed. In Massachusetts the statute of limitations for filing a lawsuit is 3 years from the time of the accident. Therefore, you need an attorney that is experienced that knows what moves to make and when to make them in order to be successful. We have been through this hundreds of times. Electricians, Plumbers, Masons, Sheet Metal Workers, Crane Operators, Carpenters, Laborers, Supervisors, Heavy Equipment Operators, Painters, Welders and any other construction trades. We service most Massachusetts towns/cities including Brockton, Easton, and Taunton where our offices our located. For a free consultation call our Brockton/Easton office at 508-230-5300 or Taunton office at 508-823-6111 or contact us online.